6 – 8 Esslöffeln geriebene Mandeln unter. Danach kochen wir die Mischung noch einmal auf und lassen sie ein bisschen eindicken. Backblech mit Backpapier auslegen und den Teig in kleinen Häufchen darauf verteilen. Anschließend ca. 20 Minuten bei 160 Grad backen. Die Unterseite der Florentiner in zerlassene Kuvertüre aus weißer Schokolade tunken. Voilà: sunday biscuits! 6 – 8 tablespoons grated almonds. Boil it till it gets pasty. Afterwards you can bake at 160 degrees Celsius for 20 minutes. 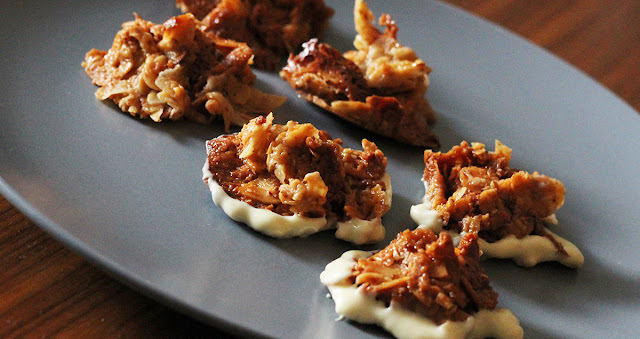 Dip the bottom side of the Florentines into hot white chocolate coating. Voilà: sunday biscuits! 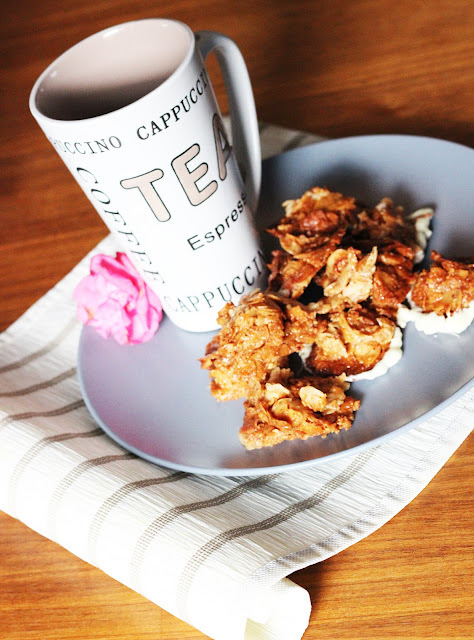 OMG It looks so tasty..
My Mum makes delicious Florentine biscuits - I love them. This looks a straightforward recipe which I think I'll try . Thank you for following my blog. I've been looking through your posts and decided to follow yours too. It looks so yummy!!!! Would you like to visit my blog and perhaps follow each other? Die sehen ja lecker aus, da krieg ich Hunger! It looks soo delicious.. yummy..
Omg that looks sooo delicious!! Think I'm going to try this out!! me on bloglovin? I've followed you! Looks so yummy!! I wanna try that!